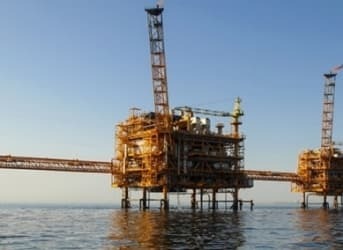 Don’t expect a sudden surge in oil on the world market now that Iran and six world powers have agreed on a deal to limit Tehran’s nuclear program and lift years of crippling sanctions. Bijan Namdar Zanganeh, Iran’s oil minister, said during the OPEC meeting in Vienna on June 5 that his country will move quickly to restore its status as a major oil exporter once the deal is signed, beginning with an export increase of 400,000 barrels per day and adding 600,000 more barrels per day within six months. Either way, that adds up to 1 million extra barrels a day to the oil market. But the process can’t begin until the agreement is signed. That won’t come until early 2016 at the earliest because the U.S. Congress has two months to study the arrangement, then vote on whether to reject the deal championed by the Obama administration. Sanctions probably won’t be lifted until the end of the year if all goes according to plan. Iran once was OPEC’s second-largest oil producer after Saudi Arabia, with output of 3.6 million barrels per day in 2011, an amount that’s declined to about 2.8 million barrels per day because of the sanctions. Current exports are 1.1 million barrels per day, half of what they were before the sanctions. Another delay can be attributed to the International Atomic Energy Agency (IAEA), the United Nation’s global monitor of nuclear activity. IAEA Director General Yukiya Amano says it won’t issue its report on Iran’s compliance with the agreement until Dec. 15. If it finds a gap in the compliance, Obama has promised that the entire agreement, including the lifting of sanctions, would be void. Yet, Ross concedes that no matter how quickly – or slowly – Iran restores its export potential, the global market should be able to absorb it without too much trouble. Today there are about 1 million more barrels of oil on the market than customers need, but he notes that the demand has been gradually rising, especially in Asia. What if oil infrastructure would didn't increase up to when Tehran begins exporting 500,000 barrels per day? Iran might even be needed to acquire the market share of other states for terrorism like Libya and Iraq or geopolitical reasons like Russia.